There is more than one artist with this name. 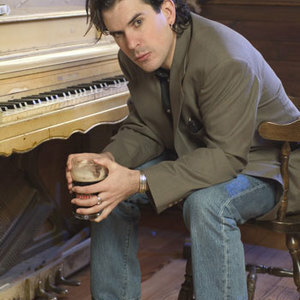 1) Michael John McDermott is one half of Workshy, the smooth jazz / sophisti-pop duo from London. 2) Michael McDermott has been the drummer of The Bouncing Souls, a punk rock band from New Brunswick, New Jersey formed in 1987, since 2000. 3) Michael McDermott, a singer-songwriter from Chicago, has been crafting personal, evocative music for almost two decades. His first album, 620 W.
1) Michael John McDermott is one half of Workshy, the smooth jazz / sophisti-pop duo from London. 2) Michael McDermott has been the drummer of The Bouncing Souls, a punk rock band from New Brunswick, New Jersey formed in 1987, since 2000. 3) Michael McDermott, a singer-songwriter from Chicago, has been crafting personal, evocative music for almost two decades. His first album, 620 W. Surf, recorded when he was only 20 years old, established McDermott as a young man filled with poetry and power. Since then he has documented on vinyl his battles with booze, women, substances and faith. Comparisons to Springsteen, Dylan, Van Morrison and James Joyce have followed McDermott throughout his career, but on his later albums he has broken free of these influences to make highly original, potent music.